Jesus said he would remain in the grave until the third day after his death. If Jesus was buried on late Friday afternoon, how long would he have had to remain in the tomb to fulfill his prophecy about his resurrection? We are not told on what night of the week Jesus ate the Passover lamb with his disciples. However, the Gospels make it clear that Jesus died and was buried on a Friday. According to Luke, the women who had come with Jesus from the Galilee witnessed the crucifixion (Luke 23:49). After also witnessing Joseph of Arimathea’s interment of Jesus (Luke 23:55), the women went to their lodgings and hurriedly prepared spices before the onset of Sabbath (Luke 23:56). When the Sabbath ended, they returned to the tomb carrying the spices (Luke 24:1). Jesus prophesied that he would rise from the dead on the third day after his death. The Son of Man, Jesus said, would be turned over to the Gentiles, who would put him to death, but on the third day he would rise from the dead (Luke 18:31-33). Likewise, Peter proclaimed, “God raised him from the dead on the third day” (Acts 10:40). If Jesus was buried late Friday afternoon, how long would he have had to remain in the tomb to fulfill his prophecy about his resurrection? To answer this question, we need to know something about the Jewish way of reckoning time. We also must examine two interesting Hebrew idioms. 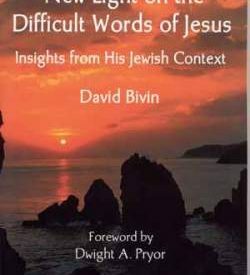 I am surprised that David Bivin states that “..the Gospels make it clear that Jesus died and was buried on a Friday”. True, Luke states that “that day was the preparation, and the sabbath drew on,” but this cannot have been the regular weekly sabbath, but rather the “High Sabbath”, which always was the first day of the unleavened bread, invariably on the 15th Nisan. This particular week this day was on Thursday. From where we can deduct that Jesus died shortly after sunset on Wednesday (that is early Thursday morning) and rose again shortly after sunset Saturdayt (early Sunday morning), thus fullfilling the only sign the Jews would have – three full days and three full nights in the grave. The notion that Jesus died on Good Friday, seems to stem from the misunderstanding of which sabbath the Gospels refer to. The notion that Jesus died on a Friday comes from the Gospels of Matthew, Mark and Luke. Jesus was crucified at about noon on Friday, the Day of Preparation for Sabbath (Luke 23:44). He died about 3:00 p.m. on the same day (Luke 23:44-46). His body was laid in a rock-hewn tomb “as the Sabbath was beginning” (Luke 23:54). “The women…returned [from the tomb]…and prepared spices and ointments. On the Sabbath [which begins on Friday evening] they rested according to the commandment” (Luke 23:55-56). It appears that you are trying to harmonize the four Gospels, or taking your chronology entirely from the Gospel of John. Further, you are taking “three days and three nights” from Matt. 12:40, but notice Luke’s parallel in Luke 11:30. Luke 23:54 says: “And that day was the preparation, and the sabbath drew on.” (KJV). The preparation day was the preparation day for the Feast of Sabbaths (Days of Unleavened Bread) – not the weekly sabbath which now was two days away – and which always came on Nisan 15 irrespective of the day of the week. This year it fell on Thursday (or after sunset our time). And no, I do not make any attempts to harmonize the four Gospels, as I do not see any need for that, nor is the chronology based solely on Gospel of John. I do not find any discrepancies in the four Gospels. Please excuse my inadequate English – it is not my spoken language. Footnote 1 states that “paraskeue” (preparation, day of preparation) always refers to Sabbath in the New Testament. Can you explain how that remains a true statement when John places the word before pascha/Passover in 19:14? Paraskeue always refers to “Friday”! The “day of preparation” this year was not the day before the ordinary Sabbath, but the day before The Feast of the Sabbaths (or the first day of the Unleavened Bread), which always was on Nisan 15 – Thursday. Jesus was therefore crucified on Wednesday, and died shortly after sunset (early Thursday morning). He rose again shortly after sunset Saturday (early Sunday Morning), thus fulfilling the sign of Jonah – three days and three nights in the grave.